Early prototype for Frank Lloyd Wright's Guggenheim (Closed for the time being.). Sorry, V. C. Morris Gift Shop is permanently closed. 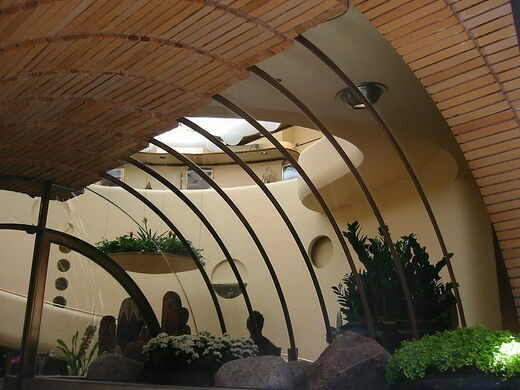 UPDATE: The building was reported sold to a “high-end designer fashion boutique” as of July 2015 by the Frank Lloyd Wright Building Conservancy. Tenacious mummies survived dental problems, eternal entombment, and more than their fair share of devastating fires. 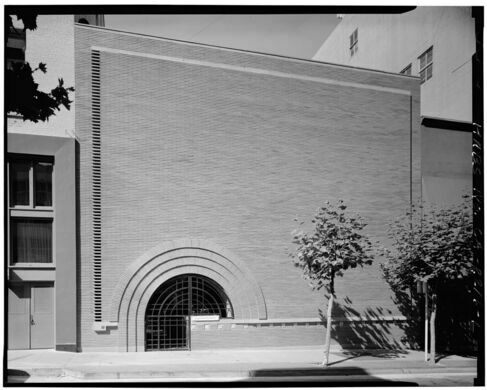 This building, on Maiden Lane in downtown San Francisco, California, is instantly recognizable as having the touch of Frank Lloyd Wright. While the celebrated architect didn’t actually design the building, he did oversee a renovation in 1948. 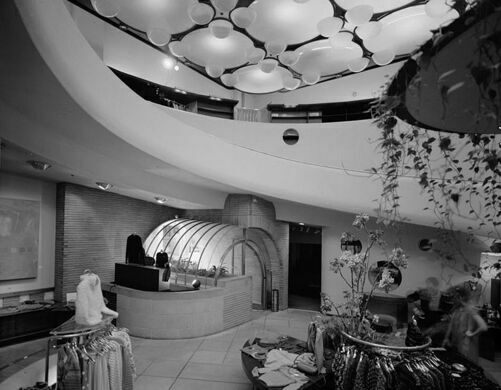 Wright would go on to use the store as a physical prototype, or proof of concept, for the circular ramp inside of the main room at the Solomon R. Guggenheim Museum in New York City. Xanadu Gallery, the current owner of the building, spent considerable amounts of money to restore the building to Wright’s vision from the ’40s. 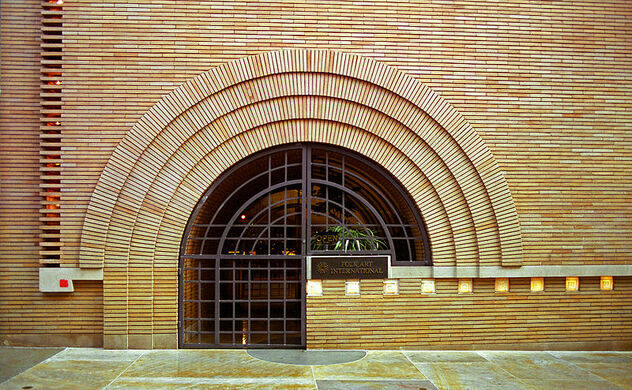 Xanadu had to retrofit the building for current amenities, like central air conditioning, without losing some of Wright’s architectural touches. Even the furniture inside of the building, most of it constructed of black walnut, was designed by Wright. In 2007, the V. C. Morris Gift Shop was listed on the American Institute of Architects’ list of the group’s 150 favorite buildings anywhere in America. It came in at number 126. Created in 1972, the famous sculptor's intricately detailed monument to San Francisco is overflowing with city landmarks. In this century-old literary safehouse, print is alive and well. The second building of its name to occupy this location might be the finest flatiron building in San Francisco. Twenty-year effort to raise a castle using tools and techniques from the 13th century is now abandoned in the Arkansas woods.